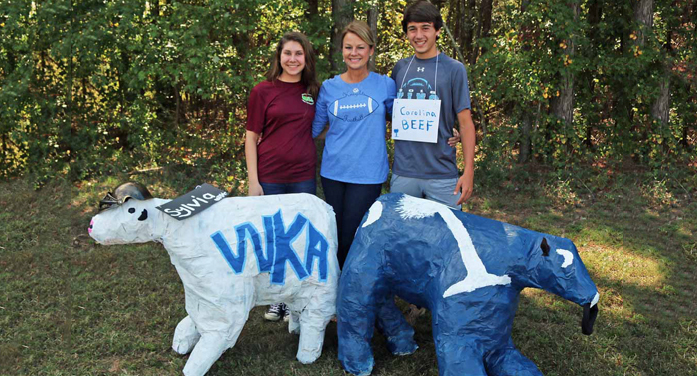 Pictured with the Edgefield Advertiser cow is Peighton Rienzo. King Academy, through Helen Mims of Edgefield (a teacher at the Academy), requested some of the old Edgefield Advertiser copies available to the public for various needs. 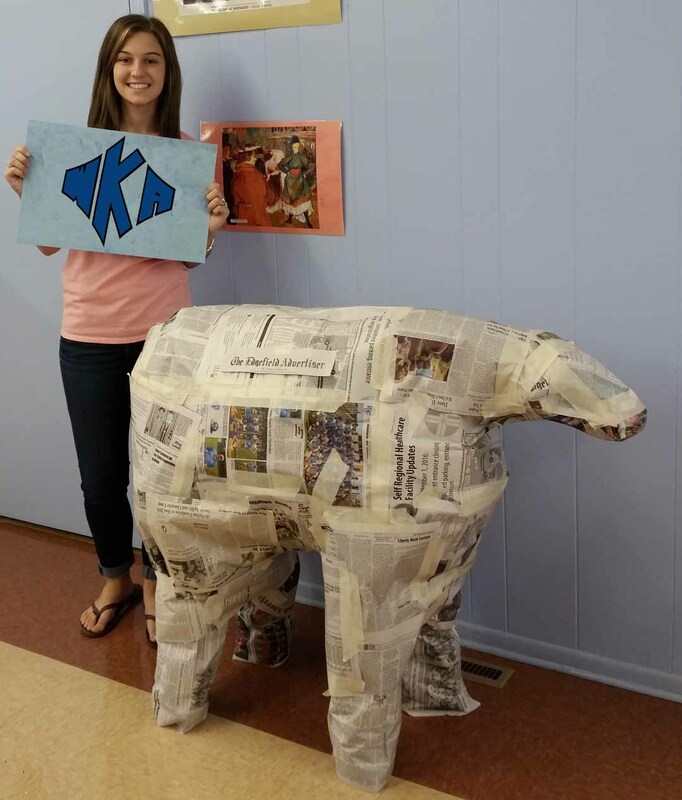 With the request, the staff learned that something artistic would be happening with the papers. And it did. Below one reads in the “Knight News” just what they did with the papers. One Response to "King Academy Uses Old Advertisers To Create"